In COMPLEX, the player is a mercenary working a contract for the Omega Conglomerate, a paramilitary organization rival to the Union Aerospace Corporation looking to secure the coveted "Planetary Federation Contract", currently possessed by the UAC. Your mission is to infiltrate one of their primary holdings on Earth, the UAC Research Quadrangle, and lower their standing in a smash and grab operation. 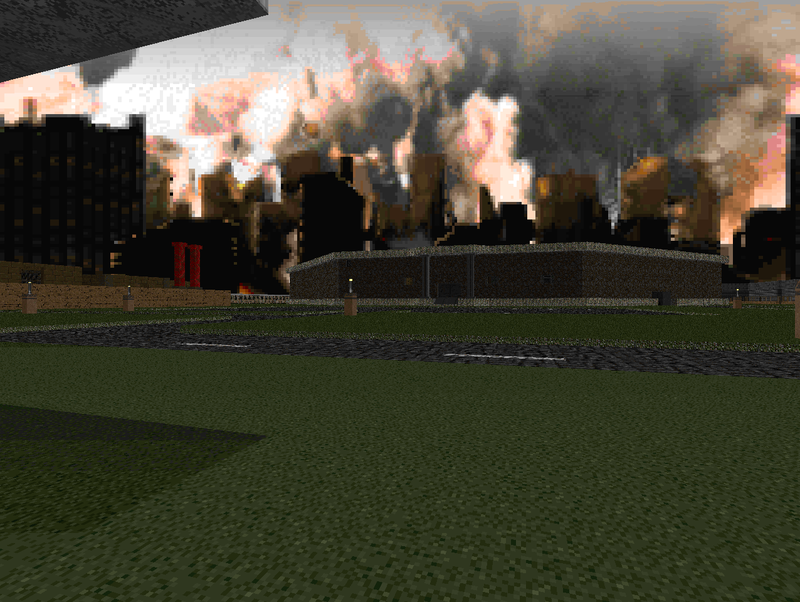 Part of the mission involves downloading research data; the other requires destroying the experiments resulting from the events of Doom and and its sequel. It turns out that the ruthless UAC has been using genetic and cybernetic material recovered from the demonic invaders to modify their test subjects in order to create their personal, private army. This standing squad of Satanic soldiers is the only thing left guarding the Quadrangle, since your individual invasion is planned for the global celebration during Earth Liberation Day. The rest of the .TXT story plots out your objectives in the order you need to tackle them in, including restoring the primary energy source to the facilities which include the Octagon (the central research structure), the Power Plant, the Waste Processing Center, and the barracks. It's a good reference if you find yourself lost since the sheer space of the level is quite large and fields over 300 monsters. You may have to initially guess at the nature of the buildings but each one has a single point of entry excepting the omnipresent Octagon. It will be necessary to infiltrate it several times before finishing things out inside. Like I said, jumping is required. 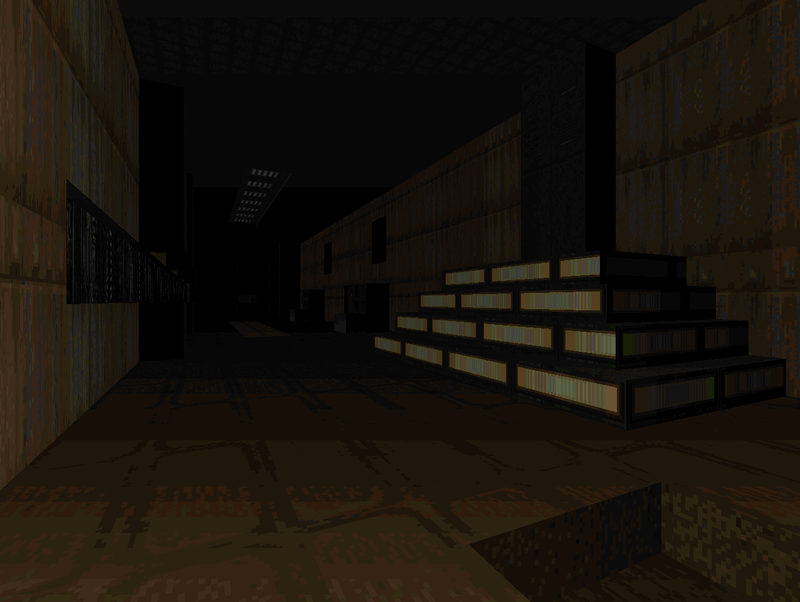 You have to sneak into the Octagon via a vent accessed by leaping across stacks of crates, after which you'll open up access to the power plant. Jumping remains integral to gathering artifacts and progression (you have to jump to initially exit the Octagon, too) so if you're not used to bouncing you'll encounter quite the paradigm shift, hopefully enough to prepare you for what follows. There aren't any lethal jumping puzzles or anything, just a whole lot of things to goat around on and the occasional clever secret like climbing out a window to access a hatch on a ledge you could have clearly seen from the outside. COMPLEX is also a VERY slow play. 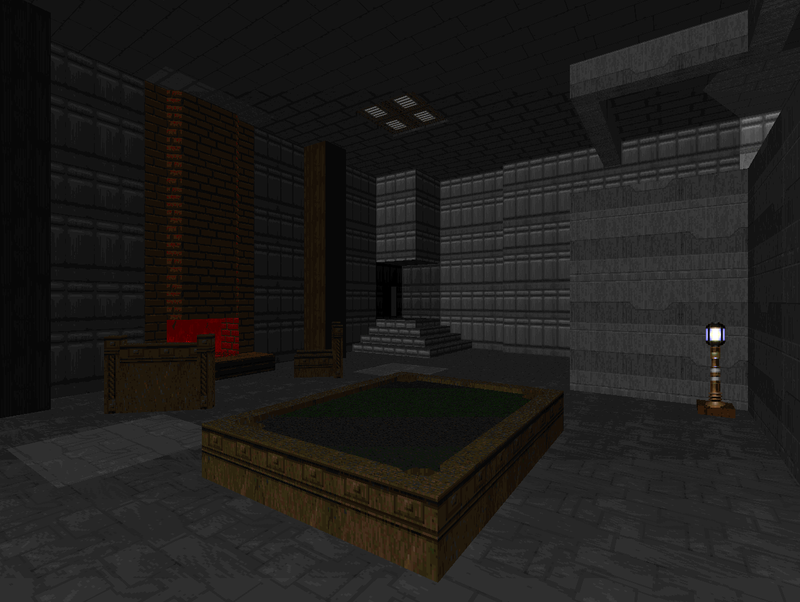 Part of this is due to its sheer size; you cover a lot of open ground and navigate through separate, large buildings. Its combat pacing will be the real killer, though. I'd say that you field half of the level's action using the shotgun and chaingun alone, acquiring the rocket launcher toward the end of the Waste Processing Center while fighting plenty of mid-tier opponents including Barons. The super shotgun is nowhere to be found, lengthening player exposure while using the single shotty. The plasma gun, with copious amounts of ammo found beforehand, is located in a very late-game secret. The most tense encounter I had involved the southeastern wing of the Octagon, which is full of mancubuses and was more a consideration of ammo left vs. health sponges since they all started waddling toward my side of the room. 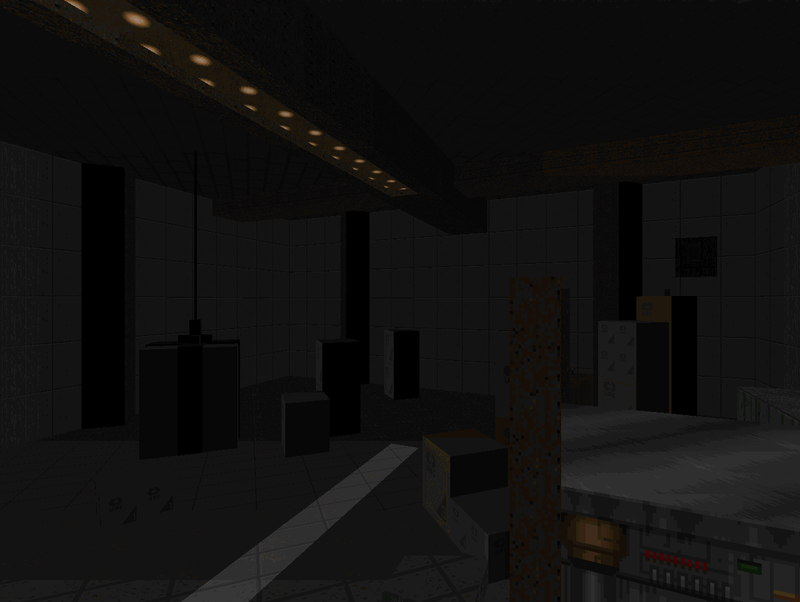 I wouldn't have guessed it from Rex's less furnished adventures in Babelsitting but between this and Quo Vadis's Nazi bunker in MAP02 it's clear that his man-made levels (at least the early ones) are flush with DoomCute realism. Heck; the toilet stalls look almost identical. 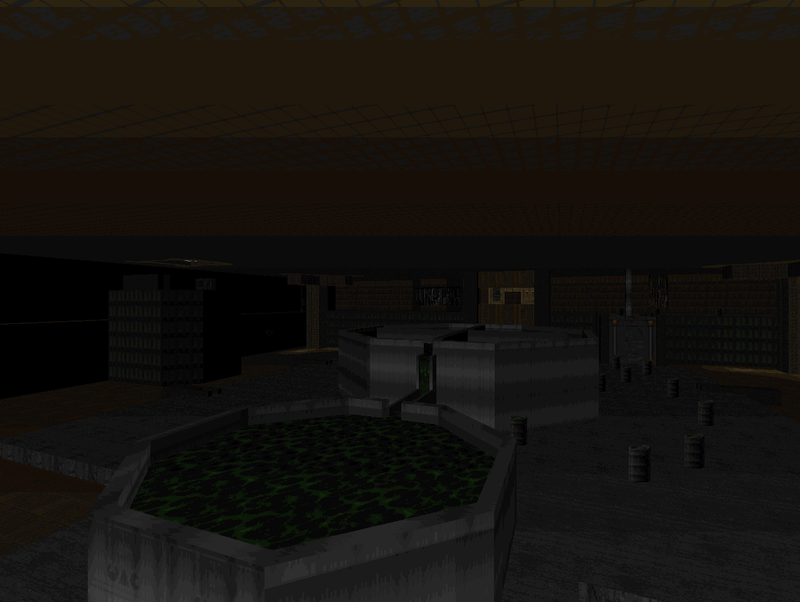 COMPLEX has offices, showers, checkpoints, barracks, lockers, and even a system of roads featuring a parking lot clumsily rendered using Doom II textures. I say clumsy because the white striping is accomplished through that floor texture made up of small, smooth pebbles and the blacktop has a similar origin. It looks less like a parking lot up close and more resembles a cargo cult's rendition. Then again, that's not far from the truth as far as Doom authors using things like sector furniture in an attempt to invoke an aura of realism. Military Research Complex is far from a well-oiled action ride. It has all the pacing of an adventure game with flashes of heavy combat, similar to the smaller, previous Decimate. These are endemic to Doom levels with a pronounced emphasis on realistic layouts; if you have any reservations about these then you can probably give COMPLEX a pass. If you're a realism fetishist, though, or the appeal of Claussen's mission applies to you, then there's no harm in trying it out. ought to be fixed for now. 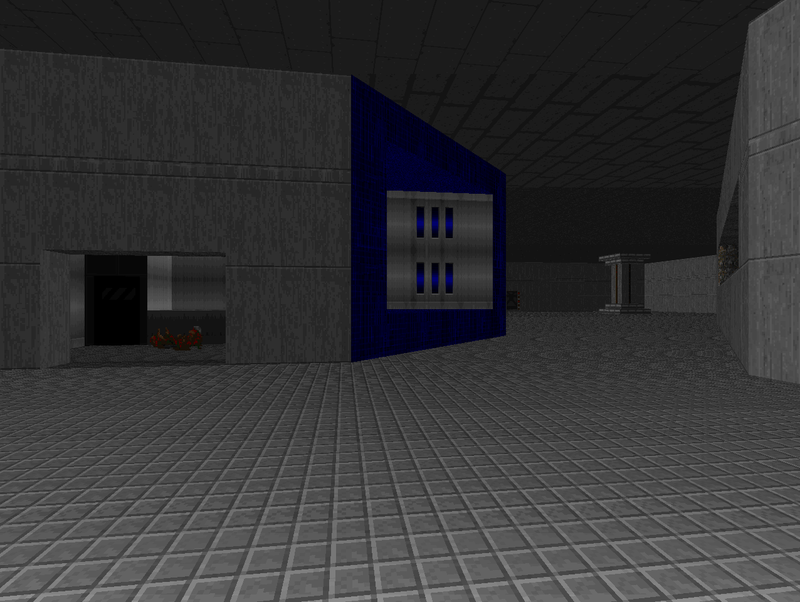 Hey, I wanted to let you know this level is a map 14 replacement. Maybe he updated the file but it is mentioned in the .TXT as well. Having just played this level, I like it's 'realism', even though it is quite dull in some moments. Still, I look forward playing more from this author. Keep up the good work! 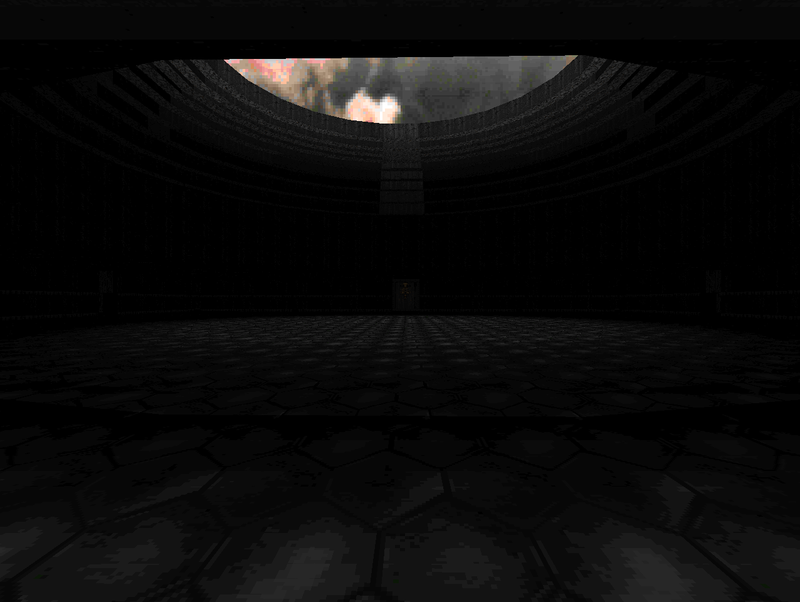 Good to see you playing Doom/updating this blog more actively lately. Sploops! Thanks for the fact checking. I looked at all the reviews I had leading up to 2002:ADO and given the then-current pacing of reviews it would be about 3 months before it was posted, so I decided to return to the previous level of pacing, at least until 2002:ADO is posted.